→How to Come Down from a High When You are Smoking Too Much Weed? If you use marijuana for recreational or medical purposes, you must never overuse or overindulge. Smoking or using too much weed can lead to severe effects. Too much is always not good. Here are ways on how to come down from a high when you have smoked too much marijuana. One of the most common effects of smoking too much weed is low blood sugar. THC in marijuana causes a plunge in blood sugar levels and this could lead to dizziness, cold and clammy skin and even loss of consciousness. If you had too much weed and you feel close to passing out then take a breath of fresh air. Get out of the room and just relax. Drink something sugary to increase sugar levels. After feeling better, you can eat a light meal. Usually, a person who passes out will recover in a short while. Provide a safe environment. As soon as the person recovers, give him a sugary drink and a light meal as soon as he can eat. One of the most common side effects of marijuana is having red and dry eyes. Red eyes are due to the effects of THC. This compound causes an increase in blood flow to the entire body even in the small blood vessels of the eyes causing red eyes. The eye area could also feel warm due to the increase in blood flow and this causes dryness of the area. You can relieve red eyes and dry eyes by using eye drops. You can also splash cold water on your face to reduce redness and discomfort. Sometimes, taking a nap or sleep can help. You can wear sunglasses if you want to hide your red eyes. The term “cotton mouth” is when you feel like you have eaten cotton after consuming weed. This dry feeling over your mouth is due to the effects of THC and is not just when you smoke cannabis but also when you consume marijuana edibles as well. Dry mouth can be treated by eating gum, eating food or taking a sip of water or juice. How to come down from a high when you have had too much weed? This is one of the most common questions of people new to taking marijuana. 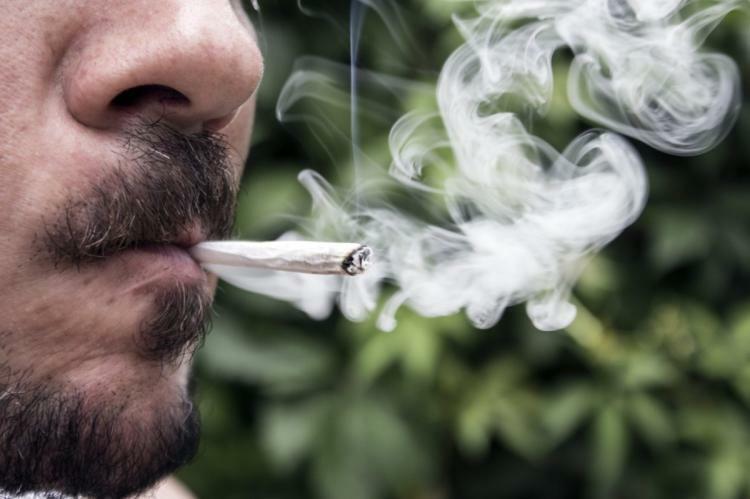 If you are new to taking weed, you might feel restless and anxious. These are effects of increased blood flow to the brain and could also be due to lack of knowledge or experience in using marijuana. Usually, it’s very hard to control restlessness and anxiety especially if you have never used weed before but the best treatment is to just ride the high. Stop smoking, keep safe and just let the effect pass. You might feel restless but this will come to pass even without any medical intervention. If you feel sleepy, just sleep. You can also indulge in other activities to keep you preoccupied. Whatever you do, don’t panic. Usually, all the symptoms will dissipate in just a few minutes to a few hours. There will be no lasting effects and the most you can get probably is a little dizziness. Hydrate by drinking water or juice. Before you indulge, be sure to have a glass of cold water or juice on hand. Do not drink caffeinated drinks. Drinking juice or water will help reduce dizziness and combat dry or cotton mouth. Do not take alcoholic beverages because alcohol can significantly increase THC in blood. Get instant relief from simple home remedies like black pepper. This kitchen item can rescue you from dizziness, loss of consciousness and even anxiety. Just take a sniff of black pepper or chew on a few bits of peppercorns to get the instant effect. Take a nice shower or a bath to help you relax. This will help calm yourself down and treat restlessness. If you feel relaxed or sleepy afterward, sleep or take a nap. Entertain yourself. Do any activity that will distract you as you come down from your high. You can watch a movie or a cartoon, play a video game, listen to music, talk to friends or do crafts. Some cannabis strains will make you feel focused and creative; you can take this opportunity to finish a project or a task that you find hard to complete. Eat something delicious. Most people who come down from a high feel hungrier than ever. Go out with friends and find a great place to binge eat. You can also order out if you don’t really feel like going out. Take a walk. Sometimes is not really easy to turn your brain off. Maybe getting some fresh air or a change of scenery would help. Have a friend or family member accompany you and stay close from home in case you become restless or anxious.